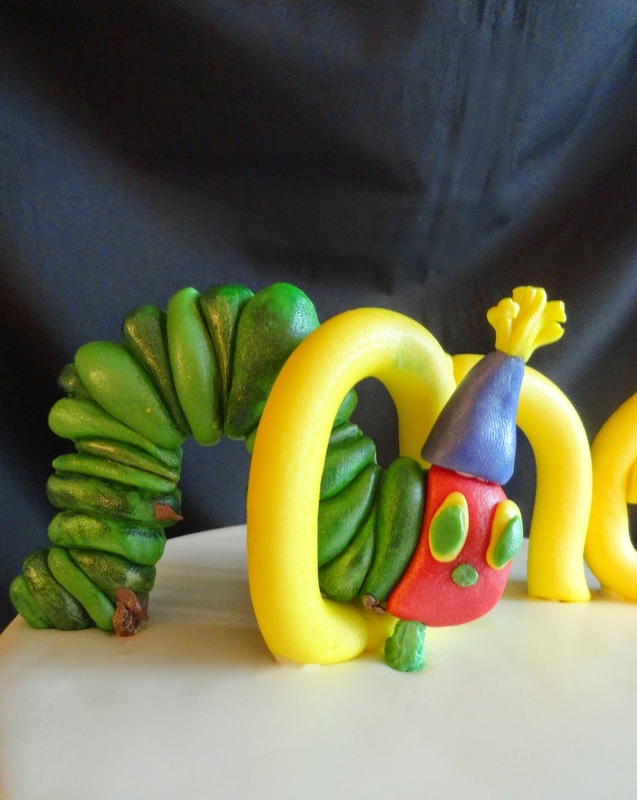 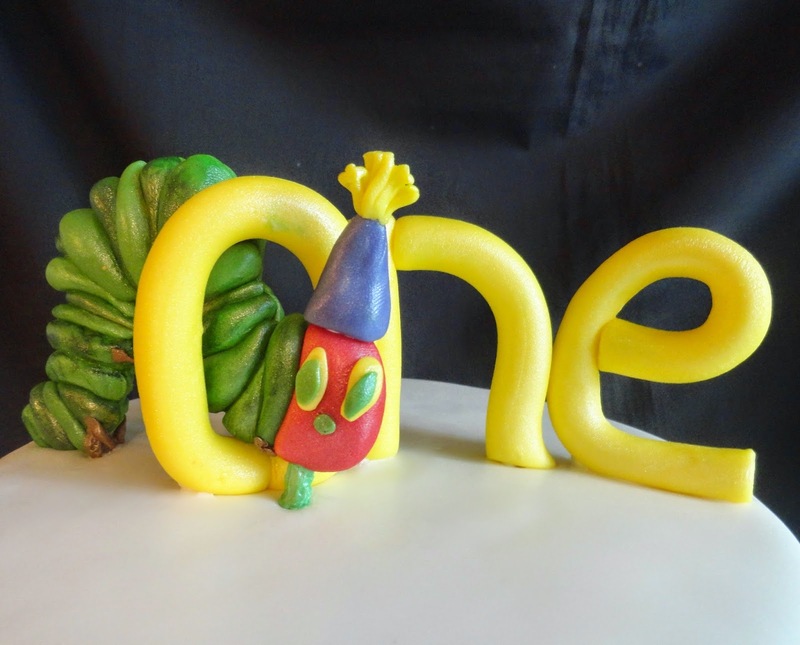 This 2 tier Hungry Caterpillar cake was made for a little girl turning 1 year old. 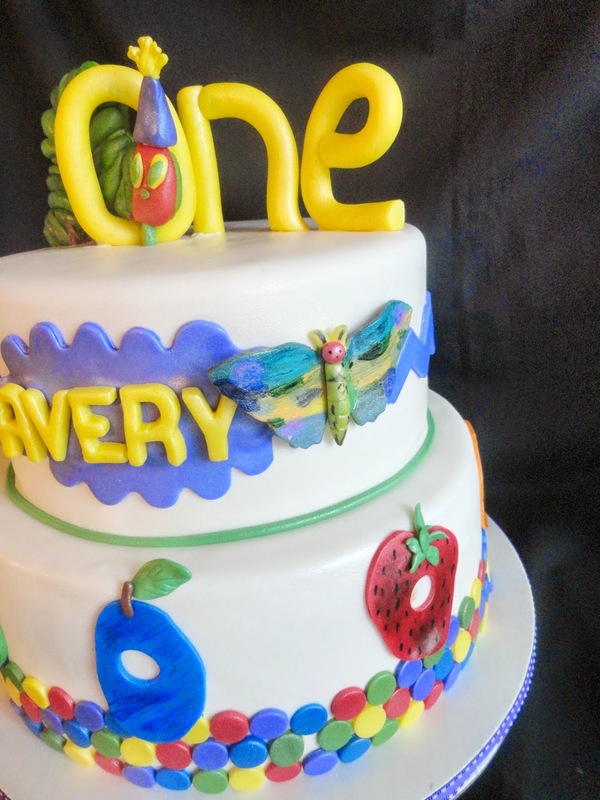 This is such a beautiful theme for a birthday party and can be use for a boy or girl. 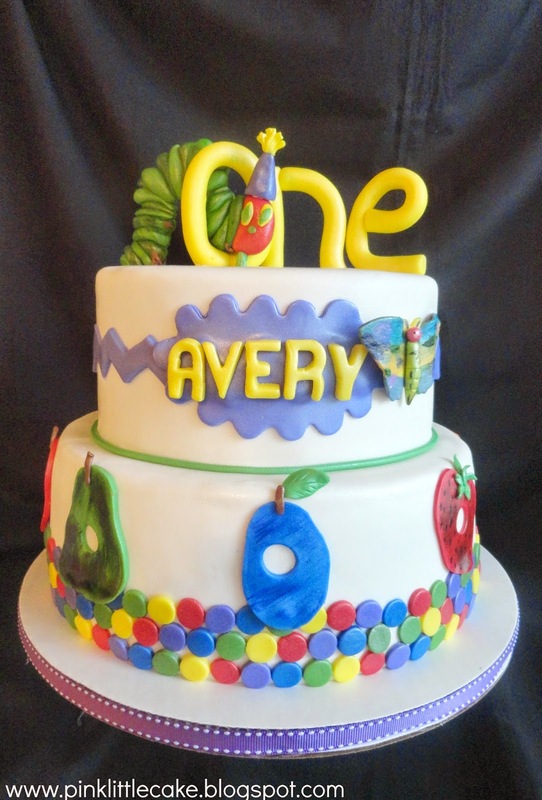 All the fruit cut outs were handmade as well as the Hungry Caterpillar cake topper, which was a little challenging to make but it turn out really cute.